We have posted in the past about athletes and their rights to workers compensation in the blog and news section on our website. There have been a lot of stories in the news recently about athletes and their injuries and whether or not they are getting the protection they need or the training that is needed to prevent these injuries. More importantly, how will these athletes get compensated when they are injured and are no longer able to perform. The NFL has reported that they wanted to expand the playoffs to include an additional four teams and increase the number of playoff teams from 12 to 14. For the fans, this would be a great thing (as long as your team makes it), but for some players who get hurt in those games, it may not be. 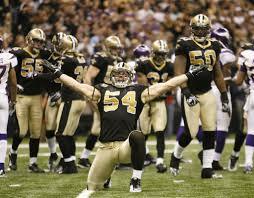 Especially players with the New Orleans Saints. The Louisiana House of Representatives passed a bill, H.B. 1069, that would "substantially reduce the workers compensation benefits" for professional athletes. The play-off expansion would change the working condtions for the athletes because they are paid less for playoff games than during the regular season. Due to the fact that the athletes are paid less during the playoff games, it would reduce their workers compensation benefits in the state of Louisiana. Why would a legislature enact this bill? Certainly players and the union are opposed to it. Some say that any players planning to sign with the Saints, should be warned about how this will affect them and their benefits during the postseason. There are many who do not agree with this, like veteran Washington Redskins safety, Ryan Clark. He tweeted, "...I don't know how they can ask players to consider expanding the playoffs while they attack our injury benefits". What do you think? And what will Louisiana do if a player sustains brain damage during a playoff game? Make him a ward of the state, receiving state benefits and Medicaid at the expense of taxpayers, instead of his employer? Athletes are no different from those of us who have a 'regular job'. If they get hurt, they can no longer do their job. Much like people with a 'regular job', they can file for worker's compensation and they need information to protect their health, career and family. Everyone, including athletes need to be protected on the job. If you have been hurt on the job and have questions, please contact us and we may be able to assist you in your case. We help pro athletes, union workers, construction workers and lots of other people with workers compensation cases. 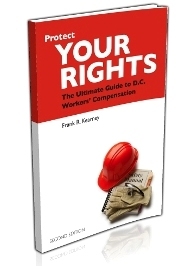 For more information on on the job injuries, just request your free copy of Protect Your Rights: The Ultimate Guide to D.C. Workers' Compensation and The Union Worker's Guide to Worker's Comp. If you want a preview of our latest workers compensation guide, The Pro Athlete's Guide to Workers Compensation, call us - it should be published soon and we may be able to get you an advance copy. For more information on this story head over to USA Today and Business Insurance. To view the H.B. 1069 bill passed in Louisiana, head over to openstates.org.